Looking for a New Mercedes-Benz GLA-Class in your area? 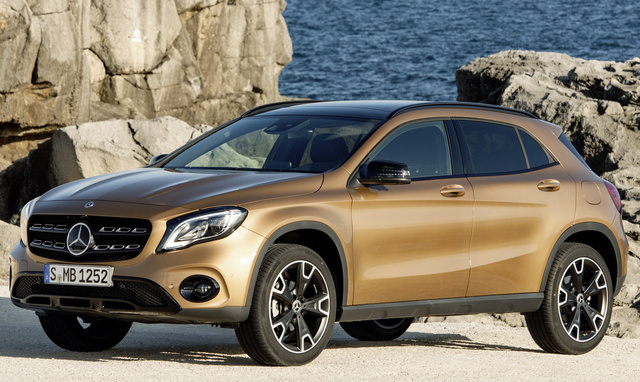 CarGurus has 389 nationwide Mercedes-Benz GLA-Class dealers with 4,743 new car listings. Along with rivals like the BMW X1, Audi Q3, Acura RDX, and Land Rover Range Rover Evoque, the Mercedes-Benz GLA-Class has helped define the luxury compact crossover segment. For 2018, the GLA is getting its first major refresh since its 2015 model-year debut. The front and rear bumpers are new, LED headlights replace the bi-xenon bulbs, and the interior receives a standard 8-inch color display in the center console, a redesigned instrument cluster, and optional Android Auto compatibility. Even with all those changes, prices stay almost the same as for the 2017 model—as do most of the GLA’s specs. The entry-level front-wheel-drive (FWD) GLA 250 starts at $33,400—up only $550 from 2017, even though it includes more standard features. The turbocharged 2.0-liter inline 4-cylinder (I4) engine is good for 208 hp and 258 lb-ft of torque and will propel the car to 60 mph in 7.2 seconds. A 7-speed dual-clutch automatic is the only available transmission. For an additional $2,000, you can get the all-wheel-drive (AWD) GLA 250 4MATIC. It’s 132 pounds heavier than the FWD GLA 250, but it manages a 0-to-60 time of 7.1 seconds with the same engine and transmission. Both GLA 250s come with driver-selectable drive modes that include Eco Start/Stop. MB-Tex upholstery is standard, as is a 14-way power driver’s seat with 4 lumbar settings, a power liftgate, active brake assist, front fog lamps, and rain-sensing wipers. Additional options abound for the 2018 GLA. To get Android Auto and CarPlay integration, you’ll have to spring for the $350 Smartphone Integration package. Lane-keep assist and Distronic dynamic cruise control come with the $1,500 Driver Assistance package; auto-dimming mirrors and a garage-door opener are part of the $400 Convenience package; and the $1,400 Parking Assist package adds power-folding side mirrors, a surround-view camera, and Mercedes’ Parking Pilot automatic parking assist. The $1,700 Interior package includes leather seats and multicolor ambient cabin lighting, while the $1,800 Premium package offers blind-spot detection, SiriusXM satellite radio, heated front seats, and keyless ignition with a proximity key. 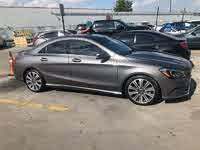 For $2,300, you can get Mercedes’ Comand navigation and voice control as part of the Multimedia package. If you don’t opt for a package for your GLA, some options—like heated seats and a proximity key—are available à la carte. A panoramic sunroof ($1,480) is an optional add-on, as are an illuminated three-pointed star in the grille ($450) and LED headlights and taillights ($850). As far as looks are concerned, you can inject some AMG style into your GLA 250 with the AMG Line Exterior package ($2,300), which includes an AMG body kit, 19-inch wheels, and a black headliner. The Night package ($2,600) adds the contents of the AMG Line Exterior package along with gloss-black exterior accents and black wheels. Alternatively, you could just step up to the GLA 45 AMG for $50,600. In addition to AMG styling, it comes with a genuine hand-built AMG powertrain—a twin-scroll turbocharged 4-cylinder engine good for 375 hp and 350 lb-ft. AWD is standard, as is an AMG Speedshift dual-clutch 7-speed automatic transmission with a manual mode. Acceleration to 60 mph takes a mere 4.3 seconds. 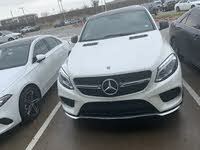 The GLA 45 AMG comes standard with performance-oriented equipment like a sport suspension, high-performance brakes, and a sport exhaust system, but upgrades are also available. An AMG Ride Control sport suspension with two-stage damping costs $850, and a performance exhaust will be an extra $650. The $2,800 AMG Dynamic Plus package bundles the sport suspension, an AMG limited-slip front differential, an increased top speed of 167 mph (up from 155 mph), and a Race mode designed for track driving. To amplify the GLA 45 AMG’s sporty vibe even more, a number of interior and exterior options are available. The $6,300 AMG Performance Studio package adds a gloss-black rear spoiler and front splitter, air intakes, the AMG Night package, 20-inch black and yellow wheels, a Dinamica sport steering wheel with yellow accents, Recaro front seats, and yellow illuminated door sills. The AMG Aerodynamics package costs $1,950 and includes the same spoiler and splitter. 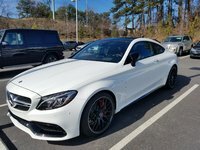 For the interior, the $17,00 AMG “Red Cut” Exclusive package offers black “Red Cut” leather and red seat belts, while the $850 AMG Dinamica Interior package includes a Dinamica sport steering wheel and interior trim. A member of the New England Motor Press Association who has owned everything from a Town Car to a Prius, Keith has contributed automotive coverage to outlets including Wired, Car & Driver, and USA Today. What's your take on the 2018 Mercedes-Benz GLA-Class? Kakapo Small luggage capacity, thirsty petrol turbo, ride okay, plenty of toys however no 360 camera, handles well and is quite quick! 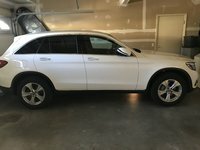 Users ranked 2018 Mercedes-Benz GLA-Class against other cars which they drove/owned. Each ranking was based on 9 categories. Here is the summary of top rankings. Have you driven a 2018 Mercedes-Benz GLA-Class? Enter your zip to see incentives for a new GLA-Class in your area. Looking for a Used GLA-Class in your area? CarGurus has 8,431 nationwide GLA-Class listings starting at $15,495.